A “Mr Nice Guy” we all have met. However to meet a player representing your club who as soon as you meet him you feel as though you had been mates forever and who is also blessed with the ability and goalscoring power of Graz, then that is a very special “Mr Nice Guy”. 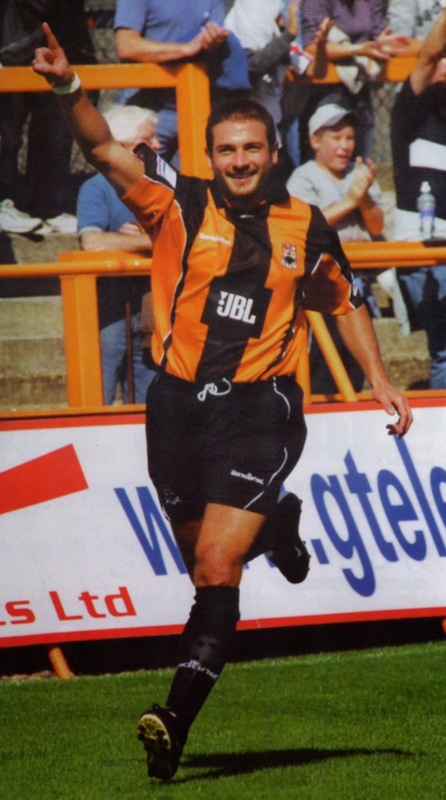 Everyone who knows Giuliano Stephano Grazioli refer to him as a gentleman but when he first set foot on an Underhill pitch in September 1998 as a Peterborough striker we all wished he'd never been born in the London Borough of Barnet in 1975. He scored 5 goals that afternoon in a 9-1 defeat. Graz has scored goals everywhere – at London Road between 1996-99 he scored 16 goals in 40 appearances. While on loan at Yeovil, he scored 6 in 6. At Woking 6 in 5 and at Stevenage Borough 7 in 12 including the glorious equaliser at Broadhall Way against Newcastle Utd in the 4th round of the FA Cup – forever an FA Cup classic TV clip. After spells and more goals at Swindon Town and then Bristol Rovers Giuliano “came home” to Barnet in a Martin Allen formulated swap deal which took Junior Agogo to Bristol. Barnet also received £110,000 into the bargain, on reflection we would have been very happy to pay out that and more for the service that Graz was to give to Barnet Football Club. Naisbitt, Hendon, Maddix, King, Plummer, Rooney, Taggart, Gamble, Lopez, Strevens, Grazioli. Subs Williams, Hogg, Pluck, Henry and Roache. However he opened his goal account in the very next fixture at Farnborough Town. Graz made 42 appearances scoring 26 goals including hatricks against Halifax Town at home and Leigh RMI away plus the vital second goal in the 2-1 victory over Leigh in the last game of the season which secured a play-off position against Shrewsbury Town which the Bees narrowly lost over two legs after a penalty shoot out. Giuliano was voted the Supporters Player of the Season. Under the guidance of Paul Fairclough and the captaincy of Ian Hendon, Barnet took the Conference title the following year by a country mile. Graz was again voted Player of the Season by scoring a mind blowing 29 goals from just 40 appearances. Linking up with Ben Strevens and Liam Hatch and with Richard Graham as the regular provider Bees fans witnessed the most exhilarating football seen at Underhill since the early 1990's. So many wonderful Graz goals were scored during that campaign but he saved the best to last in the final game of the season, albeit with the title safe. At 0-1 down to Carlisle in a packed Underhill ready to celebrate the presentation of the trophy the crowd were subdued. The Golden Boy produced a goal from nothing with a quite impossible overhead to send the stadium wild. A difficult two seasons back in the Football League followed with Graz restricted by injuries and scoring just 10 goals from 51 appearances. 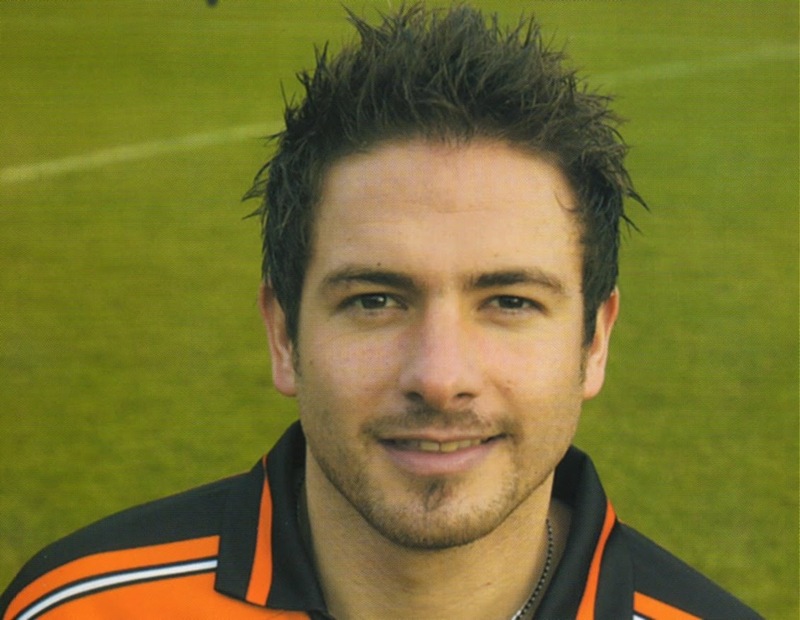 A move to Braintree Town followed in August 2008 then a month later he joined Dover Athletic retiring in March 2009. 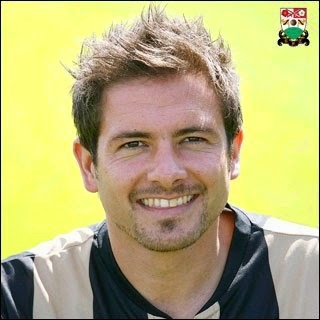 In April 2010 he re joined Barnet in the role of Community Development Office but a year later he was assisting manager Martin Allen. Allen's shock resignation left Graz in charge for the last 5 games of the season and he steered the club to safely from relegation which merely added to his iconic status at the club. Grazioli then assisted new manager Lawrie Sanchez through out 2011-12. He is currently involved with Gillingham in a scouting capacity and it was rather strange to see him sitting in the Underhill main stand with a blue and white tie on – it didn't suit you mate! It is impossible to sum up or indeed place a value on Giuliano Grazioli's contribution to the history of Barnet Football Club without using well worn clichés. Only because not only is he a charming, approachable guy who never seems to stop smiling but also he was a quite magnificent scorer of goals.